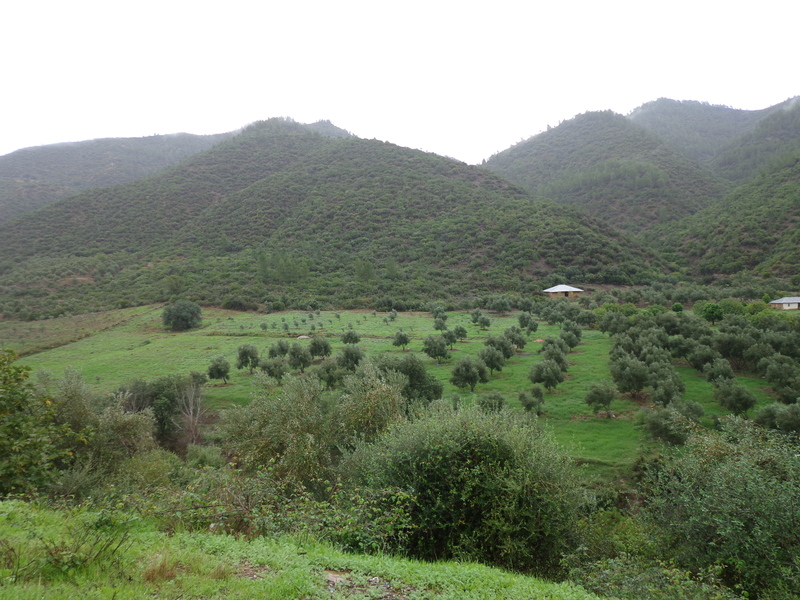 We left Chefchaouen at nine the following morning, travelling in convoy. 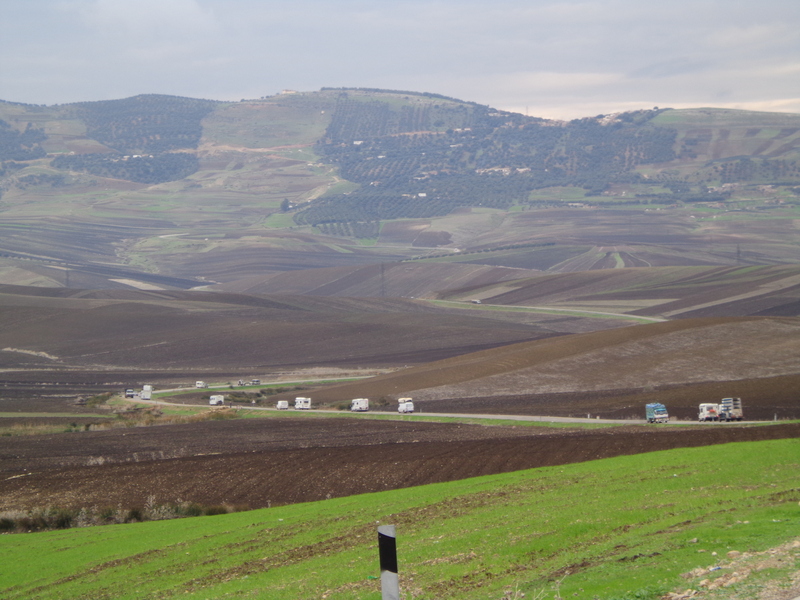 It was pouring with rain as we carefully drove down the mountain to the main road, turning south towards Meknes. We stopped for lunch at a large roadside restaurant, the rain had stopped and we were able to sit outside. We ate koftas and lamb chops, purchasing from the meat seller and then we had to pay another man to cook it on his barbecue. The meal was served with the local bread and cost £5 a head including a coffee. We drove through fertile farming country to Volubilis which, in ancient times, was the southernmost Roman settlement in Mauritania (now Algiers and Morocco). In the days of the Roman Empire this settlement supplied their masters in Rome with fresh produce, fruit, vegetables and olive oil; they also sent wild animals captured in the surrounding hills – lions, elephants and black bears for events in the Colosseum. We spent the night wild camping in these hills but, fortunately, the only wild animals we saw were sheep being looked after by their shepherd. DD Ray organised a campfire supper of jacket potatoes with a spicy tuna filling. We all sat around the bonfire with our bottles of wine but then at about 9.30 the rain started and we scurried back to our campers for an early night. Next morning we visited the Roman ruins at Volubilis. It was an amazing sight, a complete Roman town covering an area of about four acres. There were a few examples of mosaics but they had been poorly preserved and, in some cases, very badly restored. Our next stop was the town of Meknes where we spent several hours exploring the markets and souks. In the meat market the “live” section displayed poultry and rabbits whilst in the “deceased” section, amongst the displays of butchered joints, we enjoyed a tastefully arranged display of the heads of cows and sheep. The sheep looked as they always do but the cows looked particularly mournful because their tongues were hanging out.